Your 12 days Uganda wildlife viewing tour mainly takes you through Uganda’s biodiversity, sceneries and cultural experiences. It mainly targets mountain gorilla and chimpanzee trekking in Bwindi Impenetrable Forest National Park and Kibale Forest National Park respectively as well as wildlife viewing in Murchison Falls National Park for the big game viewing. After breakfast early in the morning, you head to Murchison Falls National Park Northwest of Uganda but have a stopover at the Ziwa rhino sanctuary to track rhinos and after continue to Murchison Falls National Park to head to the top of the falls to view the most powerful waterfalls as it squeezes itself into a 7 meter gorge. After, return to the lodge for dinner and a night stay at Paraa Safari Lodge (Luxury), Murchison River Lodge (Midrange) or Heritage Lodge (Budget). Following breakfast in the morning in your preferred lodge, you head to Kibale Forest National Park a home to 13 species of primate with over 1500 chimpanzees. Check in at your preferred lodge for dinner and a night stay in Papaya Lake Lodge (Up market), Primate Lodge (Luxury) or Chimpanzee Guesthouse (Budget). Breakfast early in the morning and after, join the rest of the visitors for briefing in Kanyanchu visitor center and then set off for chimpanzee tracking for about 2 to 3 hours which also allows you to explore the black and white colobus monkeys, red tailed monkeys, butterflies, bird and others. 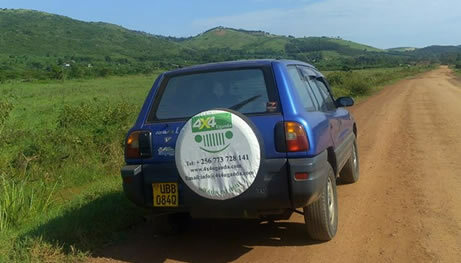 Like mountain gorilla adventure, you only an hour is given to you to have a face to face encounter with the chimpanzees and then connect to the lodge for lunch and later go to Bigodi village and wetland to birdlife and primate exploration. After primate walk, you return to your lodge of choice for a night stay at Papaya Lake Lodge (Up market), Primate Lodge (Luxury) or Chimpanzee Guesthouse (Budget). Following breakfast in the morning, you will set off to the sector where your tracking permit is destined for briefing from the park official on dos and don’ts of gorilla trekking. Bwindi has four major trailheads each of which comes with habituated gorilla families for you to track. They include the Buhoma, Ruhija, Rushaga and Nkuringo sector. Besides tracking mountain gorillas, you will also catch a glimpse of the bird species, mammals and other primates. The trek usually takes about 1 to 8 hours or more depending on which gorilla group is assigned to you, the altitude of the area and the your physical wellness. Wake up early in the morning and have breakfast and after gather at the beginning point for your most thrilling adventure to the mighty River Nile. The source of River Nile is entirely situated around Jinja making it adventure capital of East Africa, among which include the white water rafting which features as one of the most thrilling adventures that you shouldn’t miss out in life. 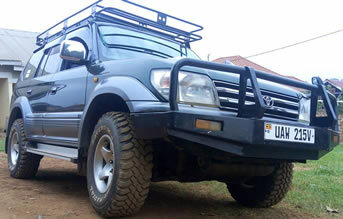 After, you will drive back to Kampala and this will mark the end of your 12 days wildlife adventure in Uganda.